'Rat's castle' is one of the best-known watercolours in the Gallery's collection. The building stood on the corner of Elizabeth and Brisbane Streets, Hobart between 1820 and 1880 before it was demolished, well before Blamire Young's first visit to Tasmania in 1911-12, so it's probable inspiration was a photograph. It had served variously as a police office, place of worship and a school for young ladies, before eventually becoming a refuge for derelicts, when it earned the moniker 'Rat's castle'. 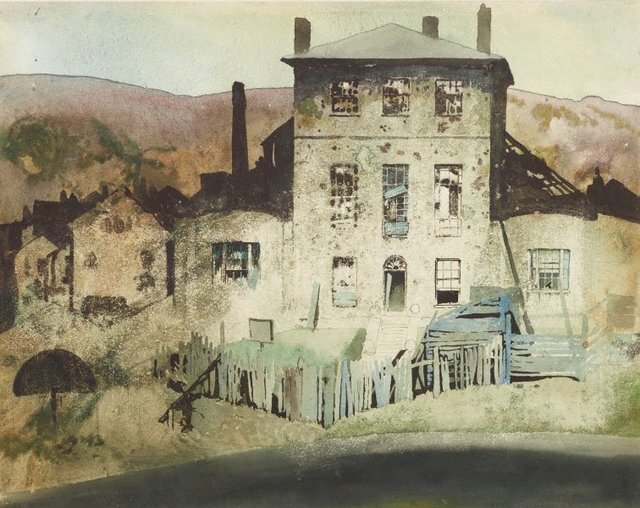 The building's colourful history obviously appealed to Young's romantic imagination, and the watercolour is a portrait of a building as individual as any human portrait.